These geckos were very plentiful on the road at night. So plentiful, in fact, that after awhile we stopped getting out of the car to check each gecko, assuming it was another one of these. A day or two later we realized this was a mistake because we started occasionally discovering other species of gecko mixed in with these. 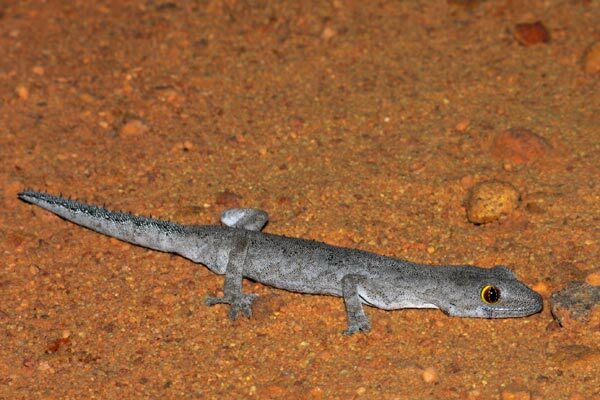 This species is called "Soft Spiny-tailed Gecko" because the spines on the tail are softer than in the other related species.